The Homeschool Cosmos Jacket is one of those jackets that flies under the radar compared to many flagship brands but it offers up a unique take and tech to the market. This is the replacement to the Home School Minesweeper which was a great jacket. Turn On’s: Size L Jackets that fit well around my chest, size M pants that fit well around my thighs so I can get in and out of my pockets, open roads, Surfy Powder Turns, Riding with Friends, new gear and especially my super-hot super smart super funny wife. Turn Off’s: Size L Jackets that don’t fit well around my chest, super tight Size M Pants that I can’t get up over my thighs, traffic and people who can’t park inside the lines. 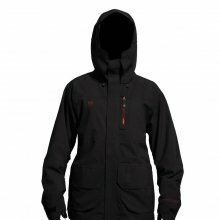 The Cosmos Jacket offers up a jacket with pretty solid 15k waterproofing and 2.5 layers but the real kicker is the 30k breathability which makes this Jacket really impressive. That’s at or above most Gore-Tex jackets. It’s really hard to get this kind of breathability in this price range. 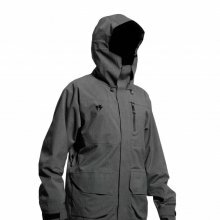 Most innexpensive jackets that have Gore-Tex have around 20k. 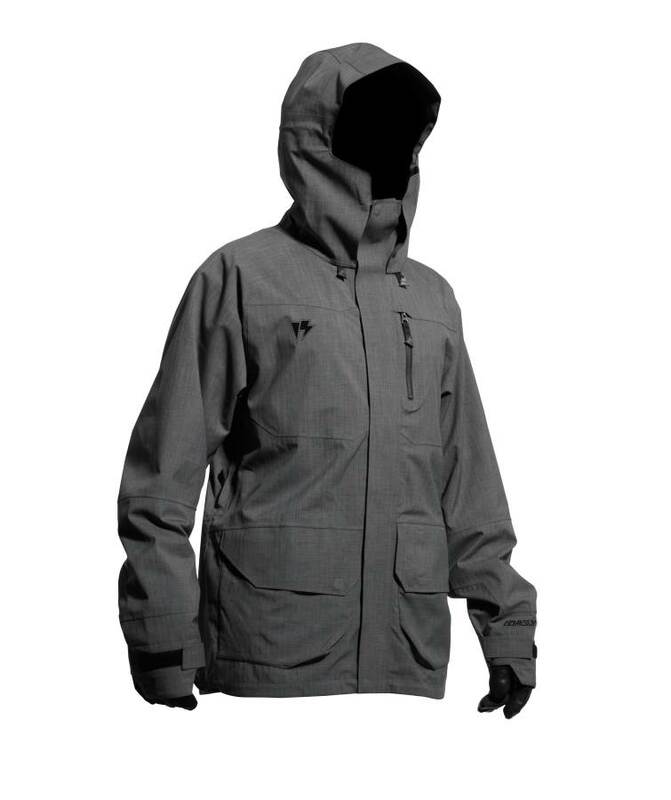 Gore-Tex doesn’t really publish this but based on most tests out there the lower end Gore-Tex in jackets is anywhere from 17k to 24k but the majority are closer to 17-20k. 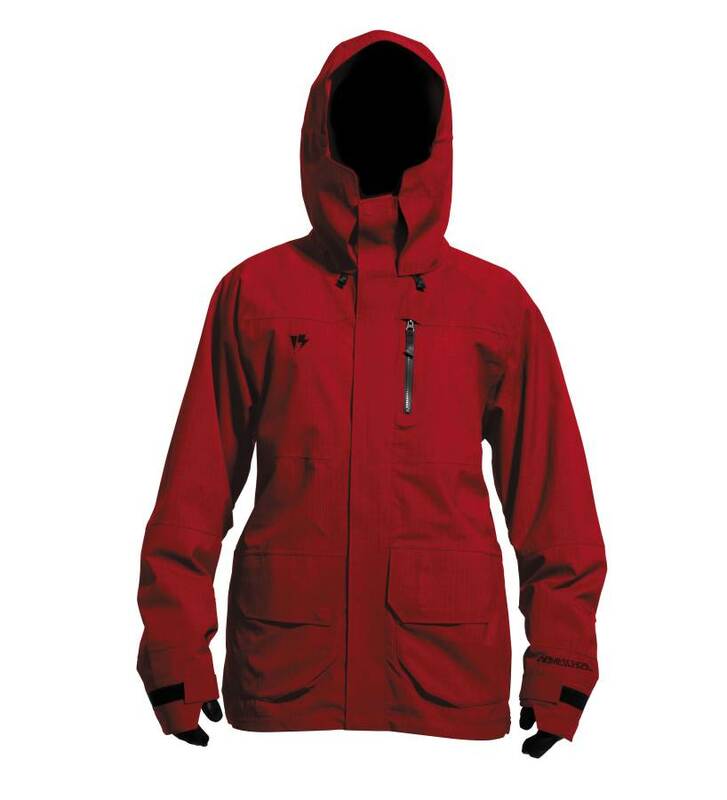 This is a great mountain to even backcountry jacket for those that heat up or sweat a lot. 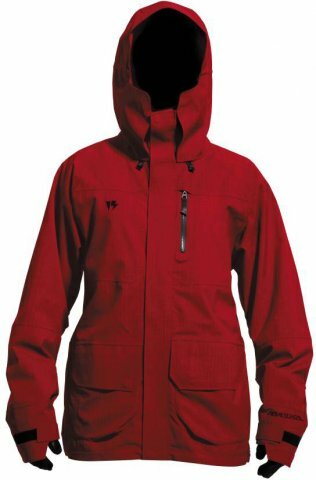 Also with 3 layers in critical areas and 2 layers in the rest of the jacket you also get a good bit of waterproofing that can handle a decent amount of moisture. The Cosmos Jacket is not like the Universe Jacket in terms of the feel. It’s much lighter and thinner and feels like your typical light weight shell out on the market these days. The best part about the Cosmos is the unique extensions of the contour hood they call wind hater. Basically they have more material that covers your cheeks but still gives your mouth room to breathe freely. This is a great solution for those that often see cold winds or get varying weather. It’s also great for riders like myself that love contour hoods on powder days so I don’t have to use a bandanna or balaclava. Instead I can put my nose into the collar riding up the chair and be completely covered. Then coming down I can breathe hard but still keep my cheeks from getting blasted. Or if I choose to wear a bandanna then it has a little more breathability around the mouth. All in all this is a pretty solid jacket for those that want a lot of breathability. We try to get as many images of the Homeschool Cosmos Jacket , but forgive us if they're not all there.